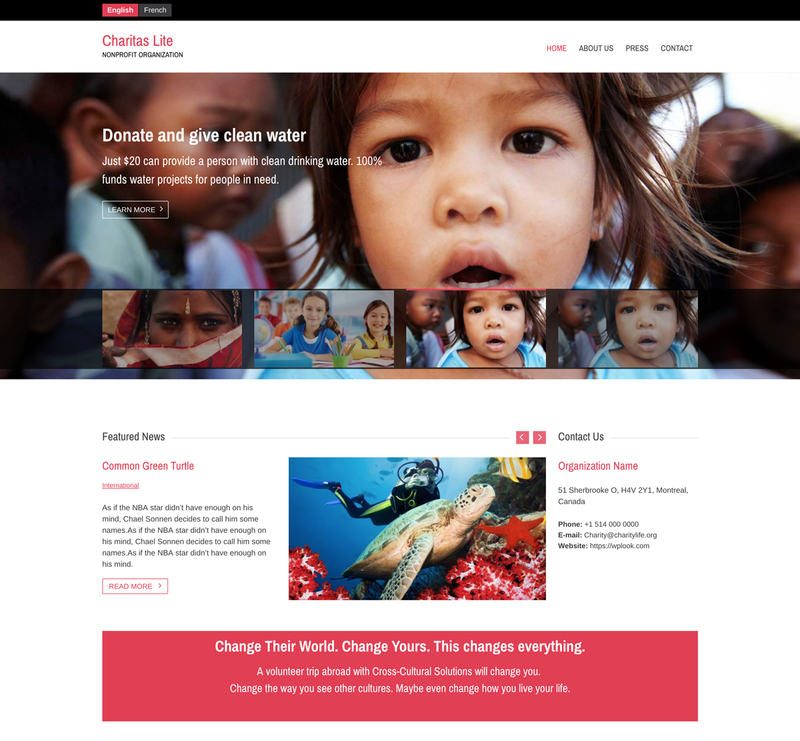 Charitas Lite is a unique Free Nonprofit WordPress Theme built for Charity Organizations, Non Profit Associations, Foundations, Political Organizations or Churches. With The Free Charitas Lite your customers will definitely enjoy the experience of using your website. to Build trust and credibility, to Bring your organization to the next level.